Look around the Boston area and you’re sure to see the skyline dotted with cranes. It seems like high-rise after high-rise is going up, block after block, whether you’re in downtown Boston or farther out of the city in places like Waltham and Quincy. 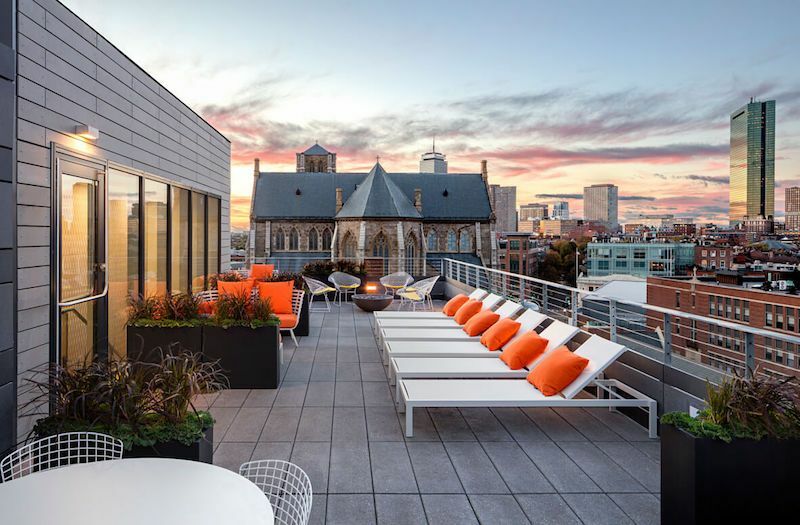 With so many luxury apartment buildings coming online, many Boston apartment owners are starting to wonder – how can I make my property compete with all of this new construction? This question is becoming more common. Just the other day, one of the building owners we’ve worked with for years called us and explained that his South End apartment complex has never had more than 8% vacancy, even during the depths of the recession. But an onslaught of new construction is making his property less attractive to the young professionals who used to pay an arm and a leg for his units. What’s more, residents aren’t staying as long as they used to and it’s taking him longer to lease apartments when they become available. He’s worried that soon, he’ll have to start offering big discounts to get people in the door. This landlord wanted to know how he could better position his older units to remain competitive in light of all the newly-constructed units being constructed nearby. This property owner’s fears are not unfounded. Data from the CoStar group indicates that multi family developers continue to churn out record levels of new supply ahead of what they’re calling a “peak year” for apartment construction, with 2017 being the fourth consecutive year where the supply of new apartments will exceed 200,000 units – the longest period of such sustained activity since Ronald Regan was in the White House! Fortunately, the Boston area (on the whole) has a lot of pent-up demand. Even older properties typically command sky-high rents given how tight the market is these days. But that doesn’t mean some buildings aren’t feeling the pressure. In many neighborhoods in Boston, landlords are absolutely competing for the same pool of tenants. So what’s a landlord or property manager to do? Play up your property’s best features. This is a no-brainer. Does your complex have incredible skyline views? Do units have high ceilings, floor-to-ceiling windows or are they chock full of historical charm? Whatever the case may be, don’t take these assets for granted. It’s easy to forget all of the wonderful features a property contains; don’t be afraid to ask a trustworthy friend to walk through a unit with you and ask them what stands out the most. Be sure to thoroughly describe these features in your listing ads–but remember, whenever possible, SHOW, DON’T TELL! Include well-lit pictures in your listing ads to let apartment hunters see just how tremendous these features really are. Remember that not everyone wants the same type of lifestyle. Sure, the new apartment tower downtown might have a rooftop pool – but you know who else uses that pool? Dozens of residents, guests and….children. For some, this is not a big deal. Others might be looking to spend their weekends in a more laid back, tranquil setting. Show people how your property offers a different type of lifestyle: maybe there’s a private backyard that’s perfect for entertaining, or raised garden beds that are just begging for someone to plant seedlings. These are the types of features that stand out to those looking for a simpler lifestyle. Make small gestures to show tenants you appreciate them. People moving into one of the thousands of newly constructed apartments often feel like a cog in the wheel; their apartment is nothing special and they’re just one of many renters in that building. Use this to your advantage by creating an emotional connection with existing tenants. Bring them freshly-baked cookies during the holidays. Offer to bring in a professional cleaning service for them once a year. Get to know their names, their families, and their personal stories. These simple gestures help renters feel more connected to you—and the property. It costs far less to retain a current tenant than it does trying to find a new one. Focus on keeping the ones you have. Don’t be afraid to use incentives and offer renter concessions. While it’s always best to try and keep solid tenants in place, sometimes landlords and property managers have no choice but to search for new ones. If you’re in this situation, don’t overlook the value of incentives and renter concessions. Investigate what other properties in your area are offering. Perhaps a building is offering two months of free rent to anyone who signs a year-long lease, or maybe they’ve reduced the standard one-month security deposit requirement. These concessions can heavily sway renters who would otherwise have trouble coming up with the equivalent of three months’ rent (first, last and security deposit) all at once. Consider a similar approach. Or, get creative! Offer tenants a $500 gift card to a local grocery store, or offer to pay their cable and internet bill for the first year of their lease. These small costs can make a big difference in terms of landing a quality tenant at the rate you’re seeking. Consider investing in the pricy remodel you’ve been putting off. The strength of the rental market in recent years has made it easy for landlords and property managers to kick the can down the road instead of making investments in their properties. Interest rates are still low and property values are up; consider pulling out some of the equity in your portfolio to make big-ticket improvements. Nowadays, renters consider granite countertops, stainless steel appliances and central air to be standard finishes. If you’ve put off replacing the mint-green bathroom and formica countertops, now is the time to invest in higher-end finishes if you want to stay competitive. Larger complexes might even consider transforming underutilized spaces into amenities that have become common in newly-constructed multifamily properties, like fitness rooms, entertainment centers and club houses that can be used for complex-wide events (wine tasting, anyone?!) or rented out by tenants. At the end of the day – DON’T STRESS OUT. Remember that there will always be competition for renters and embrace the challenge! Housing is something people will always need. Now it’s up to you to position yours as the housing they want.